Fleetingham Fox, franticly trying to save his business from the dictatorial, politically connected, crooked businessmen, runs headlong into the mafia's efforts to elect a Governor who promises them legal casinos in New Orleans. He enrolls his friends in his plan to derail their biggest and sexiest fund raiser in Louisiana. It ends abruptly, shocking everyone, and Fleet barely escapes with his life as others involved in the plot begin to be murdered. Louisiana is unique as a state among the United States of America. The French have influenced this area since the days of Napoleon. 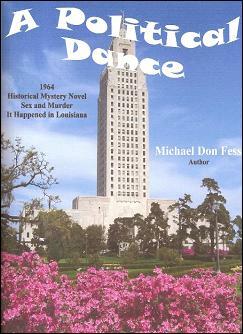 Cajun French was the dominant language in South Louisiana during 1964, the period of this novel. The legacy of Huey P. Long still shapes many of today's legislative decisions. New Orleans and Orleans Parish remain as special districts in the state. Many of Huey's successors have served prison terms and as of this writing, the ex-governor, Edwin Edwards, just exited his prison cell.